The Pentagon will send several thousand more troops to the U.S.-Mexico border as the military prepares to expand efforts to improve security in the region, defense officials said Tuesday. Reports were unclear on exactly how many troops would be deployed. Acting Defense Secretary Patrick Shanahan told reporters at a news conference that the mission will place a heavy focus on watching for potential threats. A Department of Homeland Security request to have the Pentagon extend its mission on the southern border will include U.S. troops operating mobile surveillance cameras and installing more concertina wire. 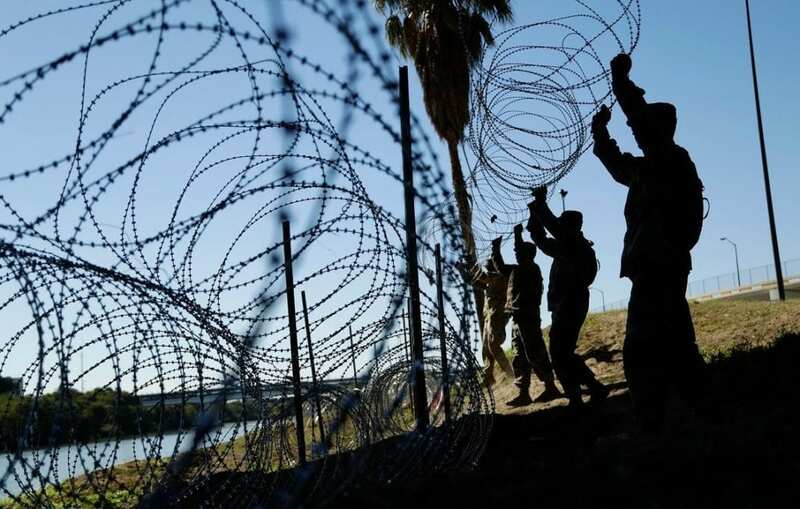 Around 2,300 active-duty troops and nearly as many National Guard soldiers are deployed along the border to support Homeland Security by installing concertina wire, providing logistics and medical assistance. Citing a risk to national security, President Trump ordered the deployments in October 2018 in response to a caravan of asylum-seekers from Central America. Deployments of active-duty troops along the southern border have been extended twice. At one point, troop numbers peaked at 5,900, the Hill reported. The Pentagon estimates around $132 million will be spent by the end of January on the active-duty troops ordered to the border in October. Another $103 million was spent for National Guard soldiers, according to USA Today. Army Lt. Col. Jamie Davis, a Pentagon spokesman, said the military is still determining which units will be deployed. “We will provide more clarity on the numbers when we have it,” he said, according to the Washington Post. Some Democratic lawmakers on Tuesday questioned Pentagon officials on the need to continue to deploy active-duty troops to the southern border. John Rood, the Pentagon undersecretary for policy, said the use of active-duty and National Guard troops was justified and a “legitimate, long-standing mission” for the Pentagon, USA Today reported.